These are a gorgeous bead. 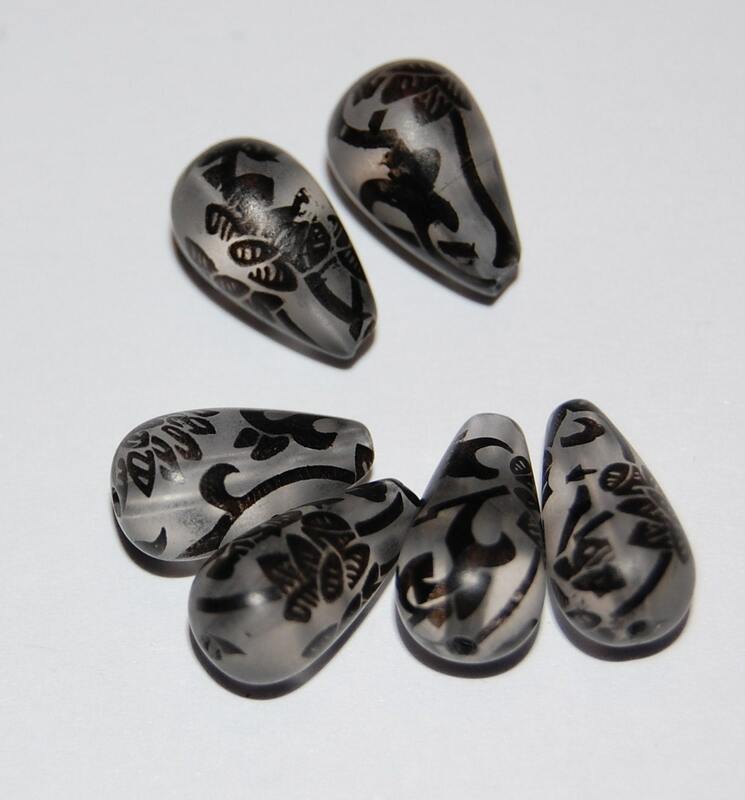 They are a frosted acrylic with a jet black floral and vine design. They are in a tear drop shape. These measure 14mm X 10mm. You will receive 6 of these. 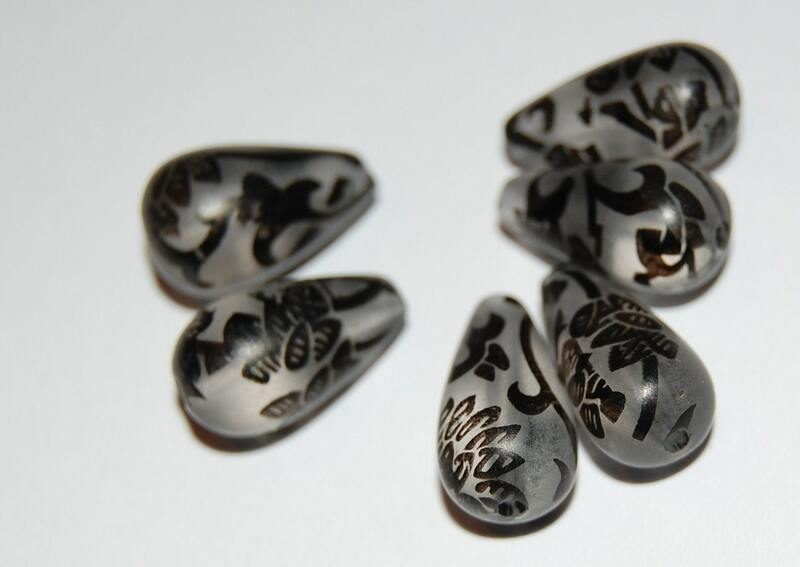 I've been collecting these foliage-printed beads for many years, in different colors and sizes, and I'm happy to find these here. In especially good condition, it seems to me, and I bought the gray pearl ones and the larger round beads too. Fantastic! Very pretty - perfect for my project! These beads are beautiful! Fast shipping! Thank you!